A new MOWCAP publication “Memory of the World Documentary Heritage in Asia and the Pacific” is now available. 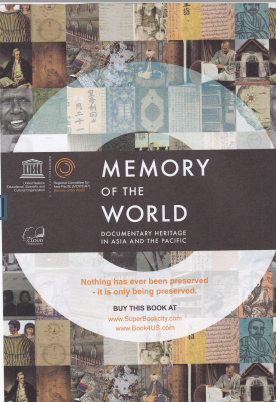 This beautifully presented book covers the documentary heritage from the region that was inscribed on the UNESCO Memory of the World register and/or the Asia Pacific register from 1997 to 2012. A good book to buy as a gift for those who are interested in the history of the Asia Pacific region. The book is available from the following sites www.book4us.com and www.superbookcity.com.